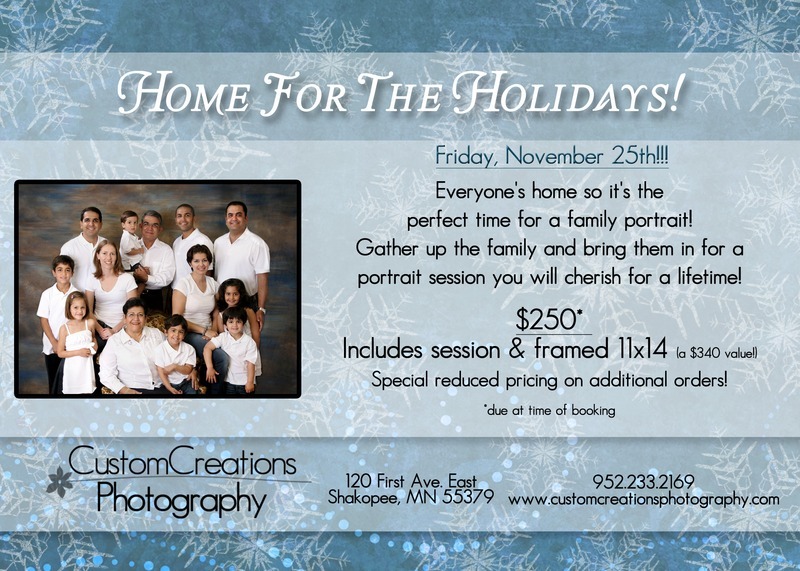 Join us for our annual “Home For The Holidays” portrait special on Friday, November 25th. For only $250 receive a family portrait session and a framed 11×14 ($340 value!) This is the perfect time to get that family portrait taken, when everyone is home for the holidays! We will also honor this special through December 23rd if you are unable to make it on Nov. 25th! Space is limited! Call today to book! Fee is due at time of booking, and is non-refundable!